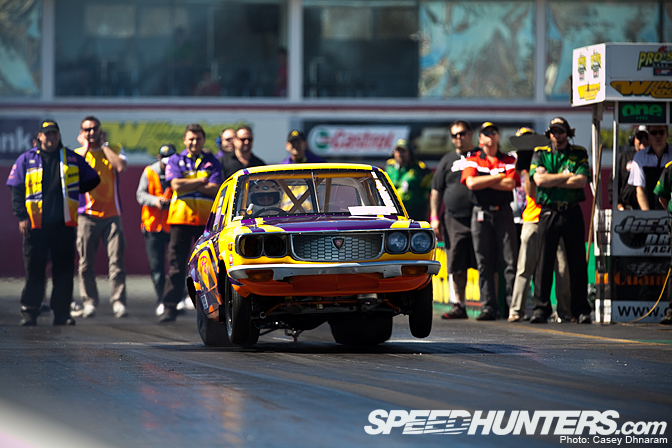 With the official results for Jamboree 2010 now released, we're able to show you our coverage of one of Australia's most famous drag racing events. Celebrating its 20th anniversary, Jamboree is undoubtedly one of the biggest racing events on in the Australian calendar. 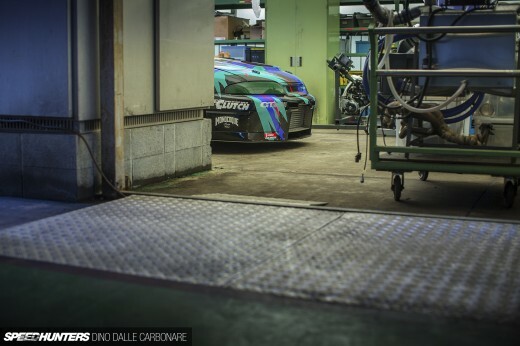 Pac Performance's Mazda 6 currently holds the world record as the fastest rotary-powered car. 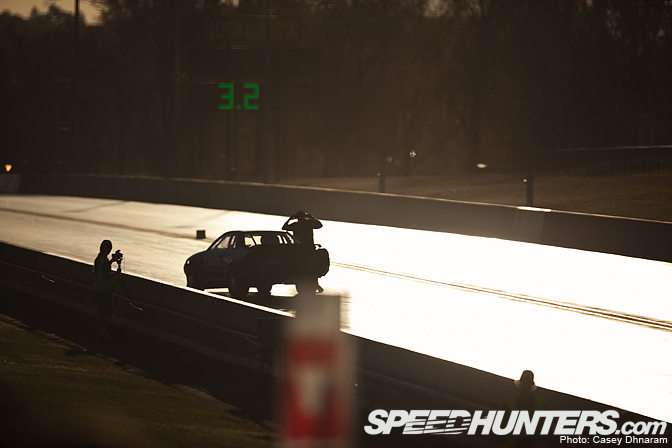 Its best run at Jamboree was 6.893 @ 200.62mph. 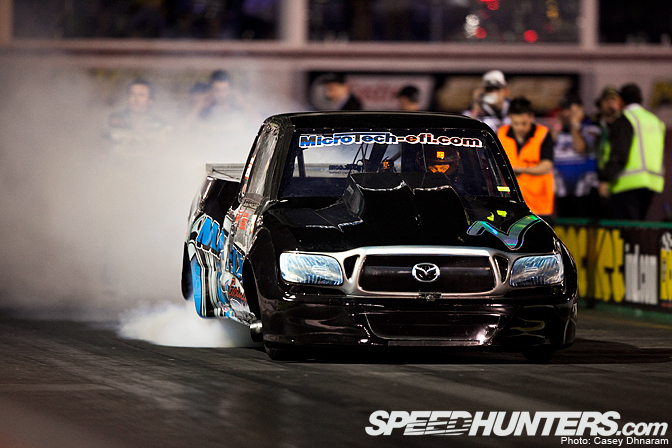 In the final, driver George Rehayem broke out before running a 6.960 @ 207.34mph. 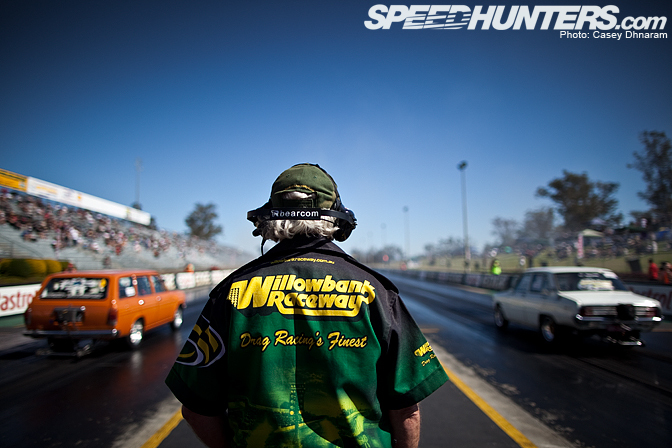 Jamboree's spiritual home is Willowbank Raceway in Queensland. This year's J20 event drew a star-studded line-up from Puerto Rico and New Zealand. 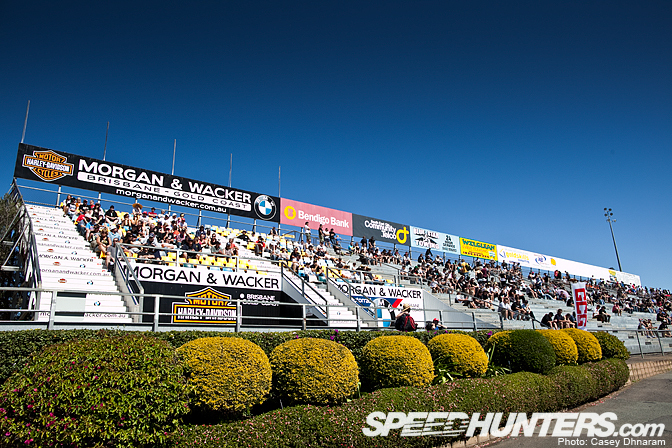 Regardless of where you are in the Willowbank grandstands, you'll find a great vantage point of the on-track action. 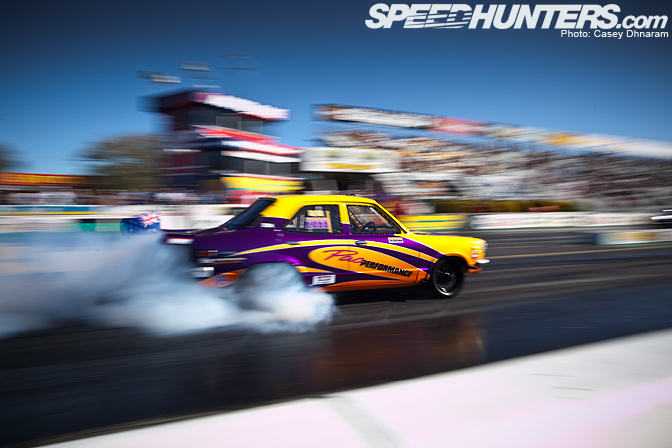 Ben Bray, the son of famous Australian drag racer Victor Bray, has followed in his father's footsteps and now steers an array of drag cars. Here he is behind the wheel of his Datsun 1200. The spectators braved the Queensland sun before temperatures dropped dramatically in the evening. 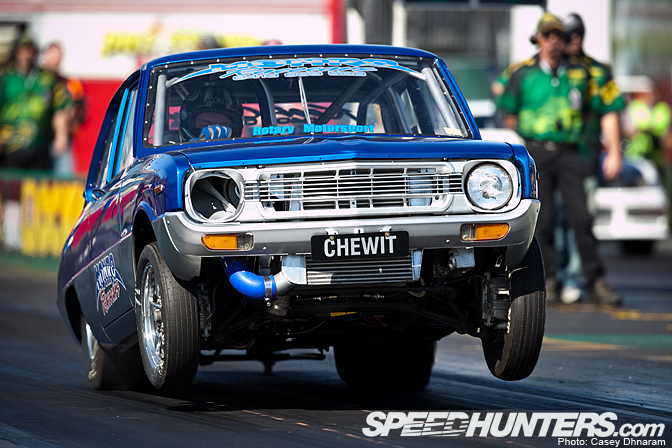 The 'CHEWIT' Mazda 1300 launching off the line. 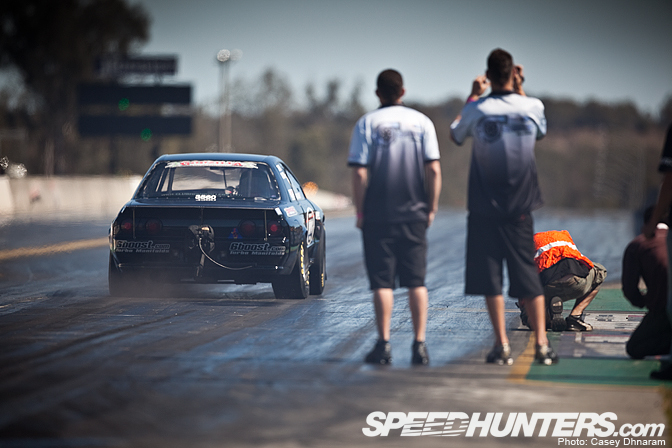 Rodney Rehayem warming up the tires of the Pac Performance RX-3. 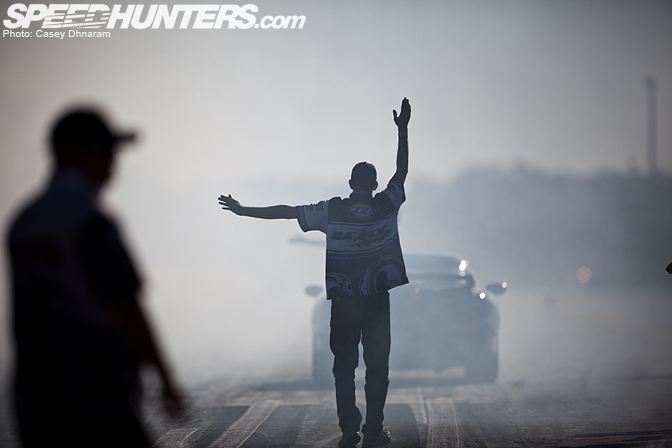 Rodney finished as top qualifier in the Pro Compact class with a 7.456 run. 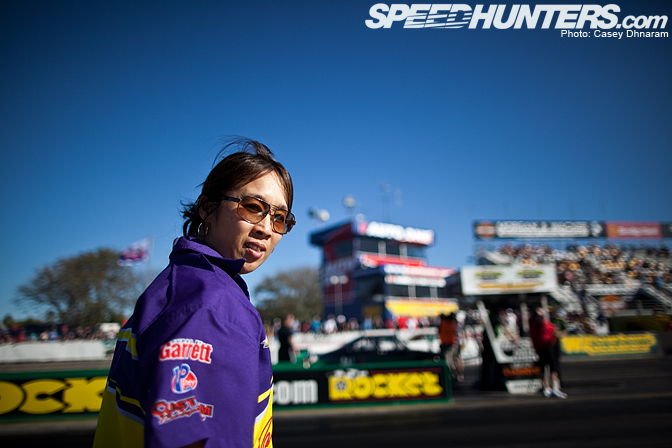 Here's a familiar face in the Australia's rotary scene, Karen from Pac Performance. This 13B RX-8, nicknamed El Yankee, was built by Pica Motors in Puerto Rico. Although it's been purchased by Jon Blanch of Microtech in Australia, its Puerto Rican driver Jorge 'Chivirico' Rivera flew over to steer it down the quarter. Gas Motorsports' 2JZ BMW drag car. Dino did a shoot on this car so you can expect to see more of it very soon. Tony Wedlock launching his Toyota Aurion off the line. This shot really shows the wrinkle wall tires gripping to the track. 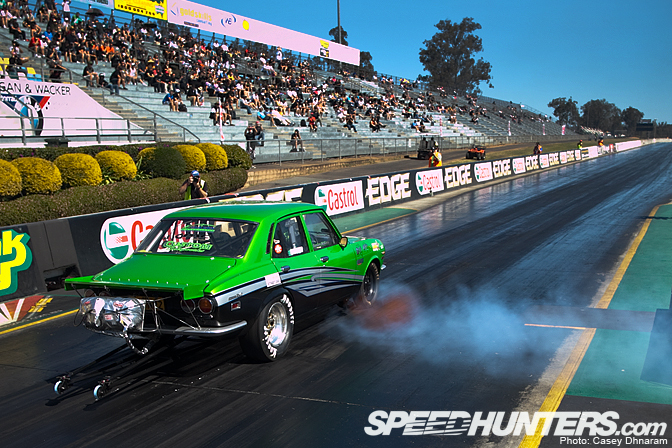 Damien McKern's famous 1970 RX-2 Capella blew insane flames that were visible in the daylight. Pure elation for the teams as their cars cross the line. The calm before the storm as Ben Bray readies himself. Reversing back into the staging lanes. The appropriately titled VL GOD Calais is driven by Anthony Maatouk, who made the journey up to Willowbank Raceway from Sydney. His Calais ran consistent 7.7s. Mark Jacobson's R32 GT-R had traction issues all weekend and struggled to put its formidable power down to the ground. Unfortunately it all went wrong for Mark Jacobson when he lost control of his GT-R during a demonstration run, crossing the lanes before clouting the concrete wall. 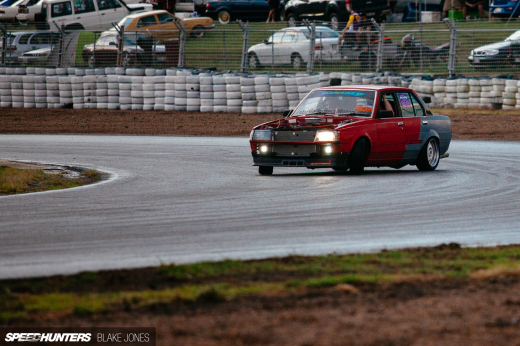 The eventual winner of the Pro Turbo class was New Zealander Rod Harvey in the Insane-Racing Toyota Celica. 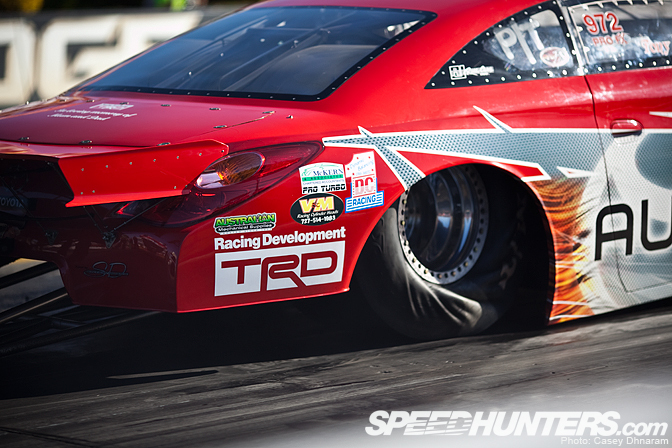 In the final against Pac Performance's Mazda 6, Rod ran 6.410 @ 224.21mph. Mazfix's BT50, driven by Archie Kajewski, ran 7.084 @ 192.06mph. 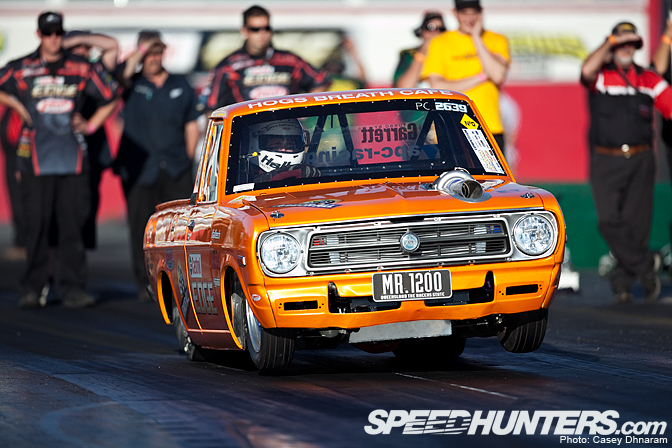 Correct me if I'm wrong, but I believe this started life as a Hilux drag car before being converted to a 20B. Ben Bray also drove the Gas Motorsports Scion in the Pro FX category. Gas Motorsports are one of the most professional racing teams in Australia, as can be seen by their immaculate pit garage. Some of you may recognize these cars from their earlier life in the US with Titan Motorsport. 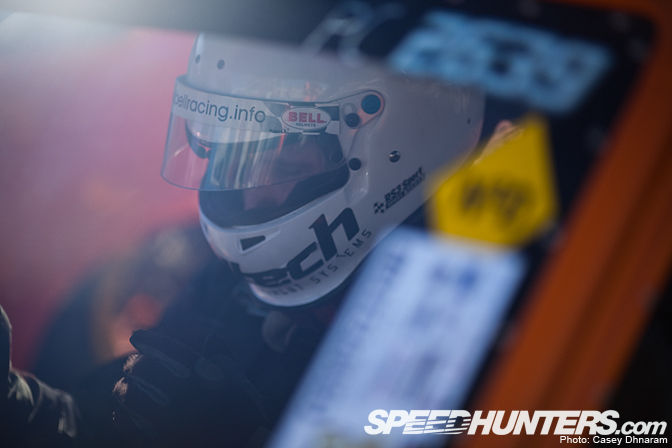 Huge congrats to Rayglass for claiming the sport compact/import record! The Rayglass Celica is now 2nf quikest doorslammer whit a "Compact" engine. After titan 6.407s. There are even quiker dragster´s whit "compact" engines out there. And dragster rail´s whit compact engines would make a great blog entry. Rotorg33k on Youtube has the video from this event, always depend on them to post the best drag videos from down under!! Sick event! Go Rod Harvey, have known him for years. A real down to earth bloke. I would've killed to be at this event. For about 2 years I've been seeing countless videos of past Jamboree's and it looks awesome. So cool seeing PR represented too as we also like rotaries. 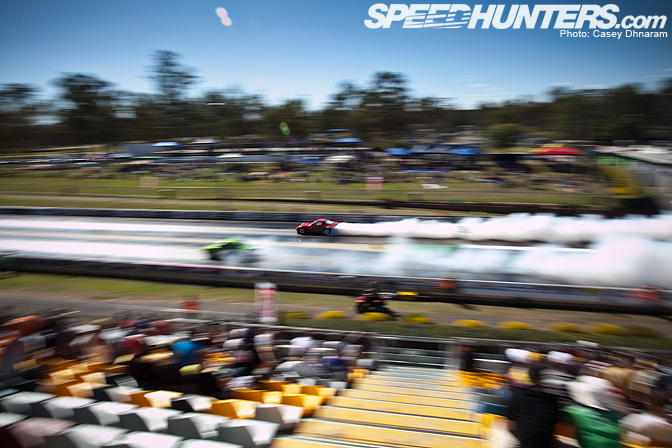 Jamboree is undoubtedly one of the biggest racing events on in the Australian calendar. 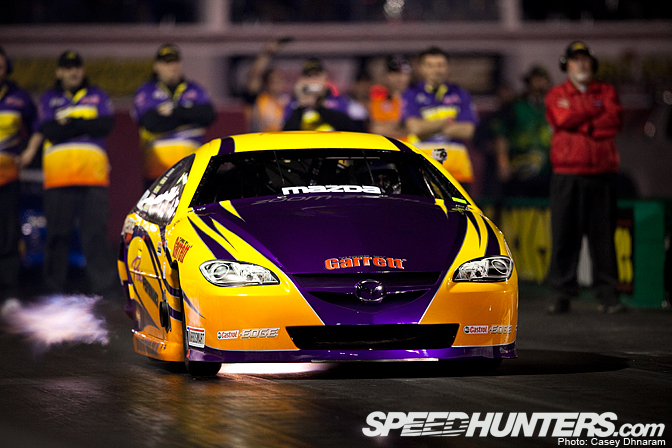 Pac Performance's Mazda 6 currently holds the world record as the fastest rotary-powered car. Its best run at Jamboree was 6.893 @ 200.62mph. What happened to Abel Ibbarra's 6.79 @ 204.28mph!! That sounds like the fastest rotary to me. Unless he didn't back it up! NZ reppin again. Go the rayglass team. Great photos Casey. Have been to every Jambo since 98 and have never disappointed by the action. PAC have run 6.752 @ 201.67mph. 6.893 was their time at Jamboree. Awesome pics! Desktops of any of the Dastun or mazda action shots would be appreciated! wow great cars, great photography! I dont know how you can do a write up covering the event with out even mentioning Rob Campisi's twin turbo big block Mustang. 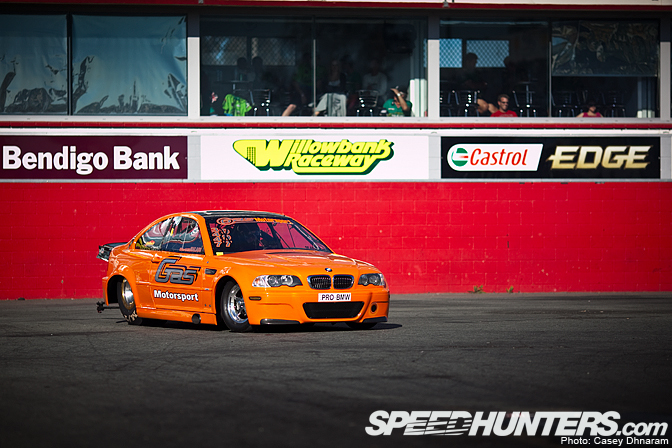 The car was a definate crowd favourite and was the fastest and quickest car of the meeting. 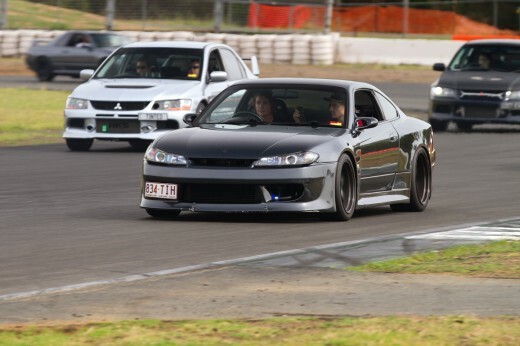 Our team also reset our own Australian record for quickest and fastest turbo door car in Australia. Will part two have more (and more accurate) information about the runs from someone who understands drag racing? I have a vid of Mark Jacobson crashing posted on youtube, not best quality, some other guy has better. 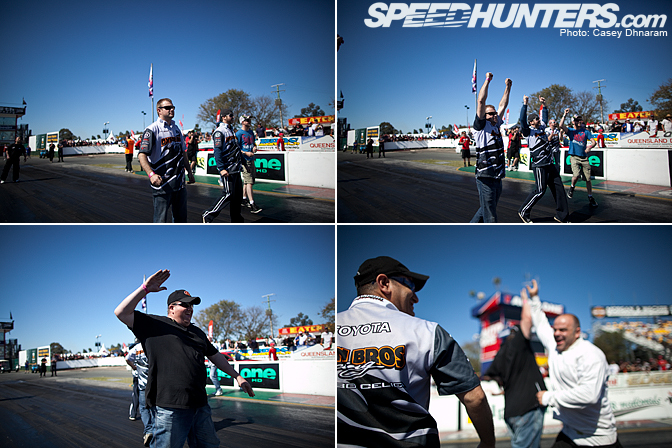 Speedhunter guy, did you get any pics from the Audio sound off? Crazy Colt.. And what Niko said. SHOW 'N' SHINE! Both days, Saturday was the better imo. We are just going off the reports we've been given from the event. I reckon it's better to have event coverage from someone who was at the event not someone who just reads reports after the fact.